Elizabeth Miller, Pharm.D., is Vice President, U.S. Regulatory Affairs, for USP. She leads USP’s strategic engagement and collaboration with the U.S. Food and Drug Administration (FDA) and other domestic regulatory agencies and stakeholders. 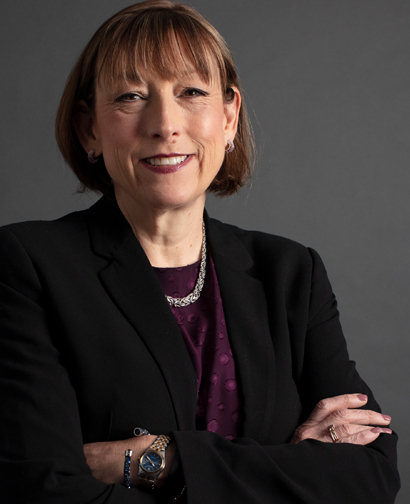 Dr. Miller returns to USP after nearly 10 years with the FDA Center for Drug Evaluation and Research (CDER)—where she most recently served as Director, Division of Nonprescription Drugs and Health Fraud, in the Office of Unapproved Drugs and Labeling Compliance. Prior to her FDA service, Dr. Miller spent nearly 10 years at USP, where her work focused on drug nomenclature, labeling, packaging, and patient safety standards to prevent medication errors and adverse events. Dr. Miller’s extensive experience in health care and medicines-related work also includes several years as a clinical pharmacist at the Washington Hospital Center in Washington DC. Dr. Miller earned her Bachelor of Arts in Biology from The Johns Hopkins University, and her Doctor of Pharmacy from the University of Maryland, School of Pharmacy.